Siem Reap, Cambodia -- Sokha Hotels & Resorts today (14 September, 2016) announces the soft opening of Sokha Siem Reap Resort & Convention Center, 776 rooms added to the city landscape. Cambodia -based hospitality group Sokha Hotels & Resorts (http://sokhahotels.com/siemreap) has expanded its portfolio by opening the new resort. This is the second property in Siem Reap to become part of the Sokha brand. Along with Sokha Angkor Resort which opened in 2006, Sokha now have more than 1,000 five star rooms available daily to support the booming tourism to Angkor Wat. Located on Siem Reap’s famous Road No 60, you can view the fiery red and orange sunset to the west of the resort and experience a sunrise from your private balcony to the East, whichever one you choose is certainly a photographic moment you may not want to miss. You can wake up to an inviting breakfast at Lotus restaurant offering al-fresco style dining experience. Khmer Bistro & Bar is located adjacent to the pool and features a signature wood fired pizza of no less than 48 cm. Lemongrass restaurant opens at night when you wish to experience the Chef Table culinary selection. 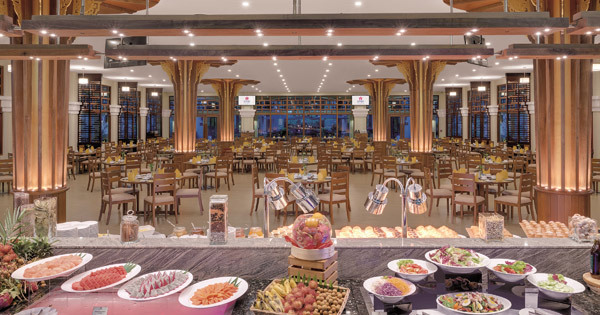 The resort’s 2,200 sqm ballroom and multiple individual meeting rooms add to the resort’s uniqueness along with the Fitness Plus & Jasmine Spa offers the largest wellbeing facility in Siem Reap. 60 Road in Siem Reap also represents why we travel, walking distance from the resort’s lobby is the Kuong Yu market offering a 100% evening Cambodian style. It’s buzzing every single night. A long road lined with street food sellers, a shopper’s paradise for children’s clothing & shoes and even small fun fair with rides and slides. You will also experience hundreds of locals enjoying the traditional evening picnic and Khmer barbecue 50 meters from the resort’s entrance. If Siem Reap’s “Pub Street” or “Angkor Night Market” is on your agenda then the resort onsite Remork service can offer you a pleasant 10 minute ride along the city’s streets for a price of just 2 USD. 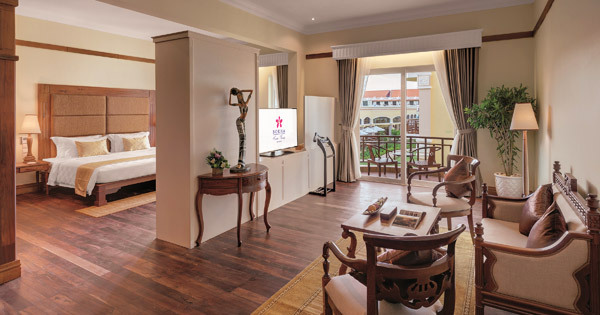 "Having this room capacity in Siem Reap confirms Sokha commitment to Tourism in Cambodia. 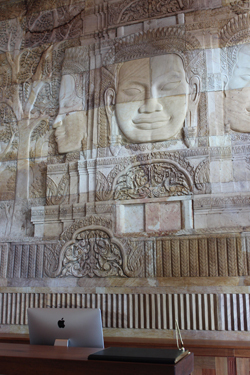 It sends a signal to prospective visitors that Angkor Wat is a destination, not just a Tourism gateway but also the new incentive destination for Asean." says Ms Thanet Kun, Regional Director of Sales. "Siem Reap's tourism numbers are constantly increasing, there is an increase in flights therefore it's an ideal time for a well-known, brand like Sokha Hotels to open this magnificent addition to Siem Reap’s landscape." Sokha Siem Reap Resort, is located at Road 60, Siem Reap, Kingdom of Cambodia. The hotel is owned by Sokimex Group. Sokha Hotels & Resorts dominates the hospitality landscape of Angkor, the new “Sokha Siem Reap Resort & Conference Center” is the 5th hotel to open for Sokha in Cambodia. Offering a truly authentic Khmer experience. 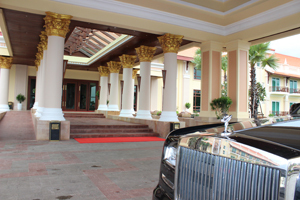 Sokha Hotels manages 5 Star Hotels & Resorts in Phnom Penh, Sihanouk Ville, Thansur Bokor Highland Resort & two resorts in Siem Reap.